The Story of Birdwatching in Honduras. 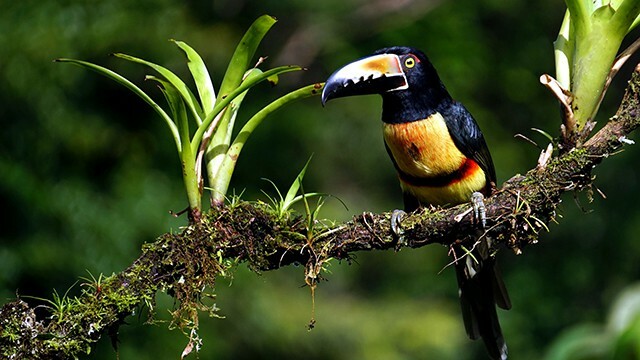 Although Honduras has always been a great destination for birdwatching, it is still a relatively new activity. Honduras boasts magnificent nature and a unique geographical location. Because it is the heart of Central America, you can see more species of birds in Honduras than any other country in the region. Perhaps the one person that got the ball rolling about birding in Honduras is Robert Gallardo. Robert is an ex Peace Corps volunteer who came to Honduras over 20 years ago. He was commissioned in the Moskitia and helped set up a butterfly house in Raista. This was the first butterfly house in Honduras. This activity provided an extra income to the members of the community. After he finished his voluntary work with the Peace Corps, Gallardo decided to stay in Honduras. Here he pursued one of his passions, birding. Roberto soon found that there were no bird books about Honduras. If you were to have a book with you while exploring Honduras, you had to bring a Mexico or a Costa Rica book. As it turns out, there are many birds in Honduras that you cannot find in Mexico or Costa Rica. There was a true need for a book about birds in Honduras. Out of sheer frustration, Gallardo set out to put together a book about birds of Honduras. After several years exploring the country, documenting and writing about his findings, he was able to reach his goal! The first book about birds of Honduras was put together by him almost singlehandedly! Since then, a second book, the Peterson Guide to birds of Northern Central America came to be. Oliver Komar, a professor at Escuela Agricola Panamericana, El Zamorano collaborated with this Project. This means that we know have two bird books for Honduras! Another important person to include in the story of birdwatching in Honduras is James Adams. James is a US expat who came to Honduras and fell in love with the region. James is has a passion for snakes and birds. He worked at the Lodge at Pico Bonito for many years. There he oversaw the serpentarium at the Lodge. He also was specifically responsible for marketing the lodge as a birding destination. James Adams became an outstanding nature photographer. During his free time, he captured many professional grade photos of birds, snakes and bugs. These have been invaluable to document and promote birding in Honduras. James organized and successfully pulled off the Honduras Birding for Conservation Tour. This event brought together some of the top birding guides in the World! Perhaps more detached from the tourism scene in Honduras, there was one more person who went out of his way to promote birding in Honduras. I am referring to US Ambassador to Honduras, James Nealon. Ambassador Nealon shared his passion with President Hernandez of Honduras. He also invited the Minister of Tourism and the Board of Directors of the National Chamber of Tourism, CANATURH. Ambassador Nealon´s interest was shared by the USAID project “PROPARQUE”. This project provided support for the creation and consolidation of ASHO and several bird clubs around Honduras. If there is one thing I can say to any birder is that you will not be disappointed in Honduras! What is Honduras Famous For? Roatan Bans Plastic Bags and Straws! Is the Lodge at Pico Bonito Closing? Why is the Honduran Currency Called Lempiras?